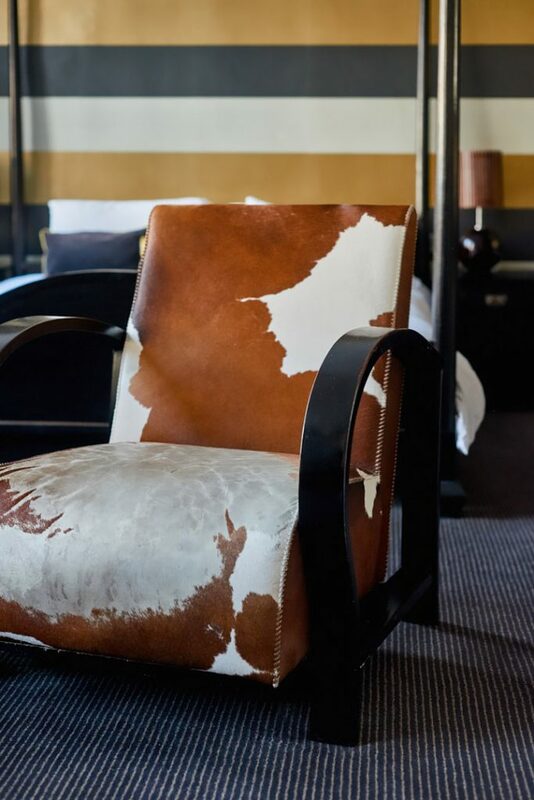 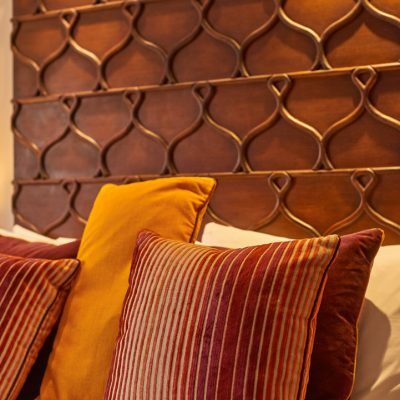 Our boutique hotel with 14 individually designed rooms makes for a truly unique experience. 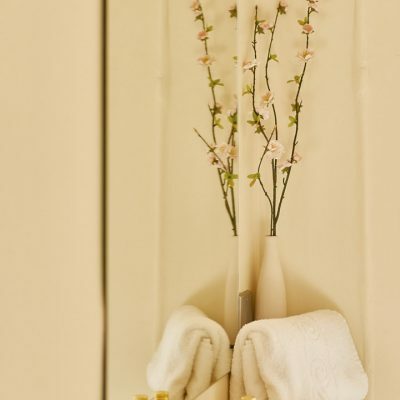 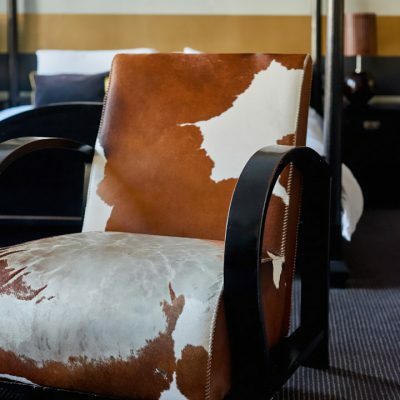 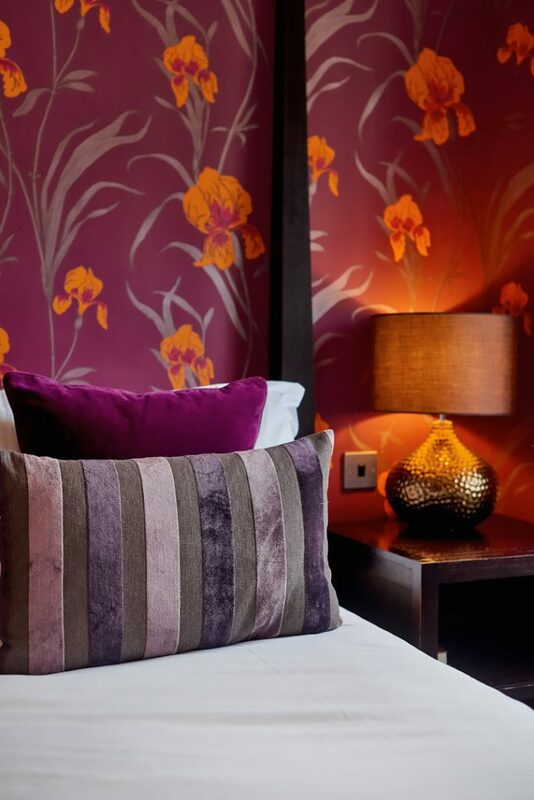 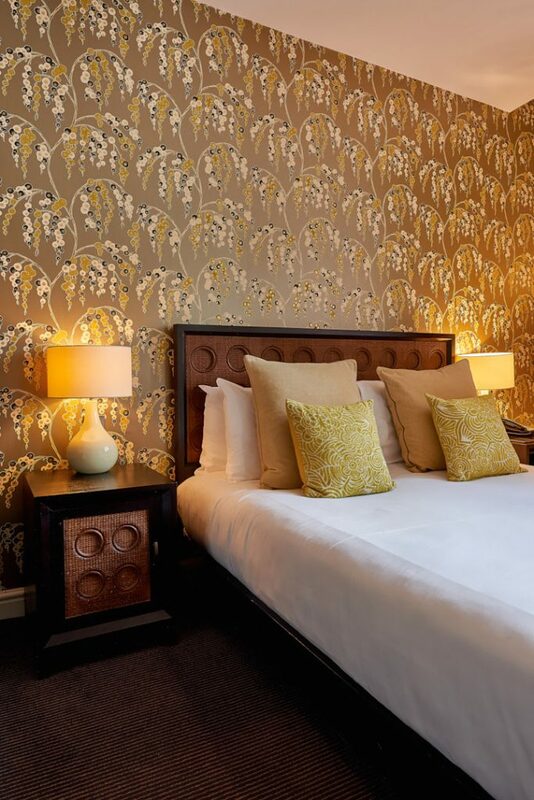 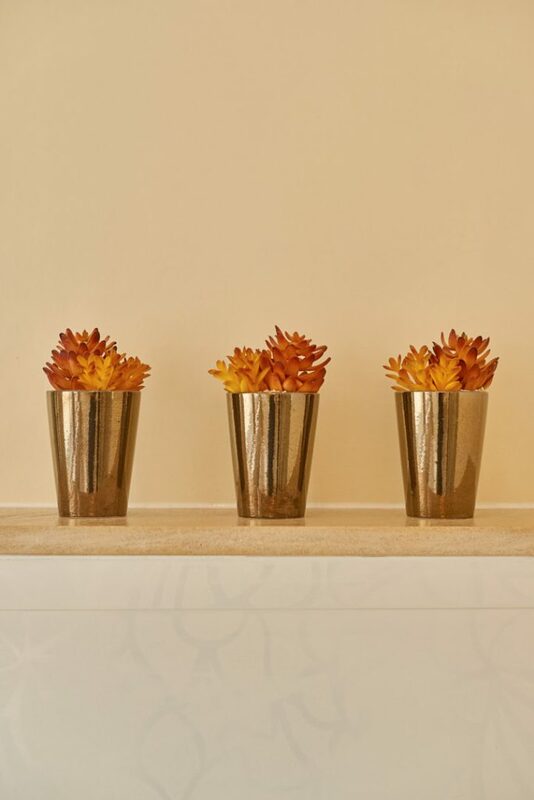 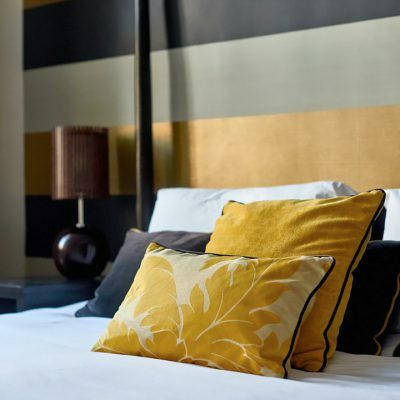 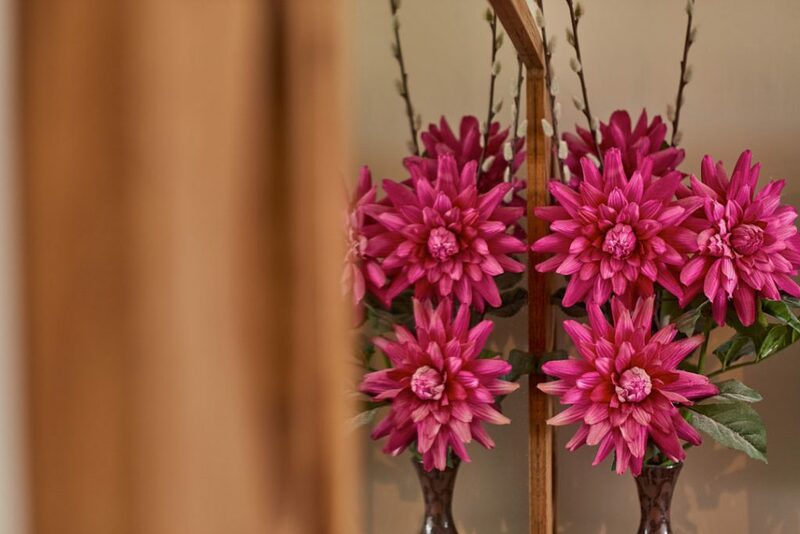 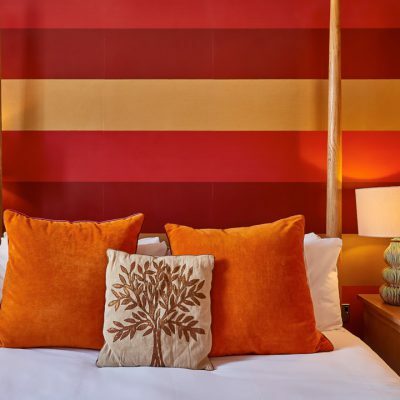 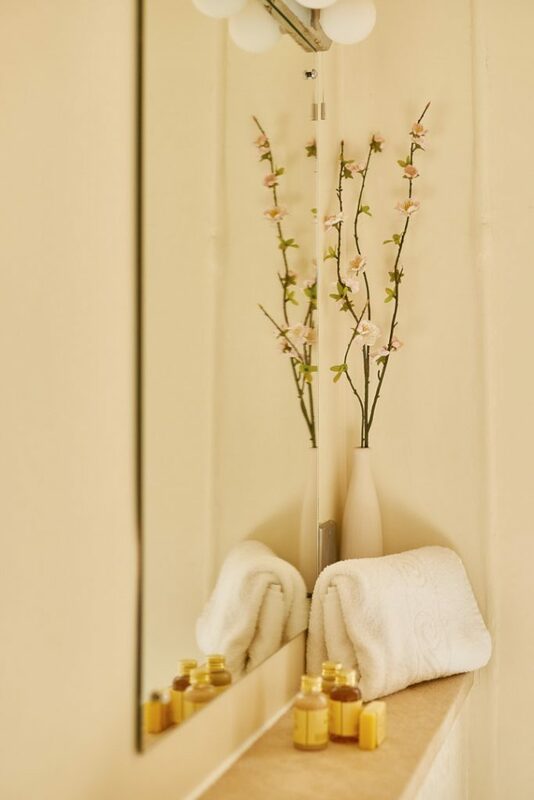 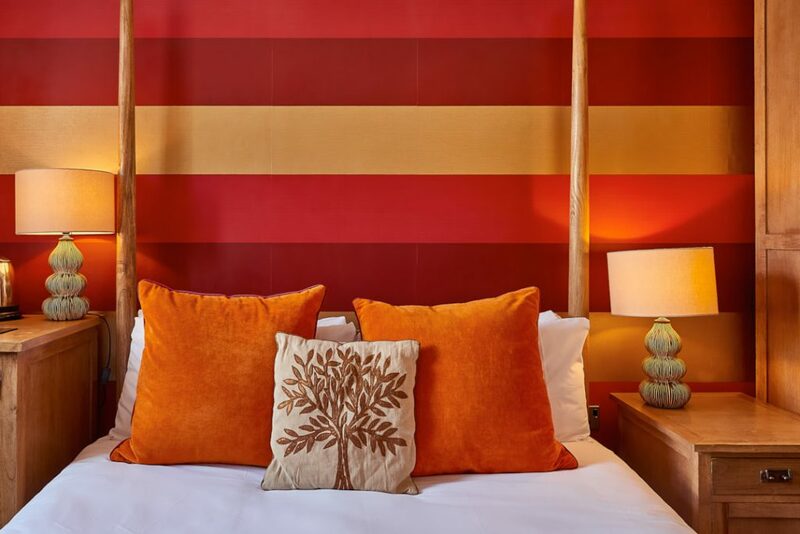 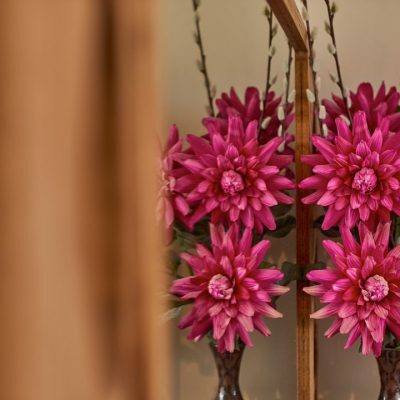 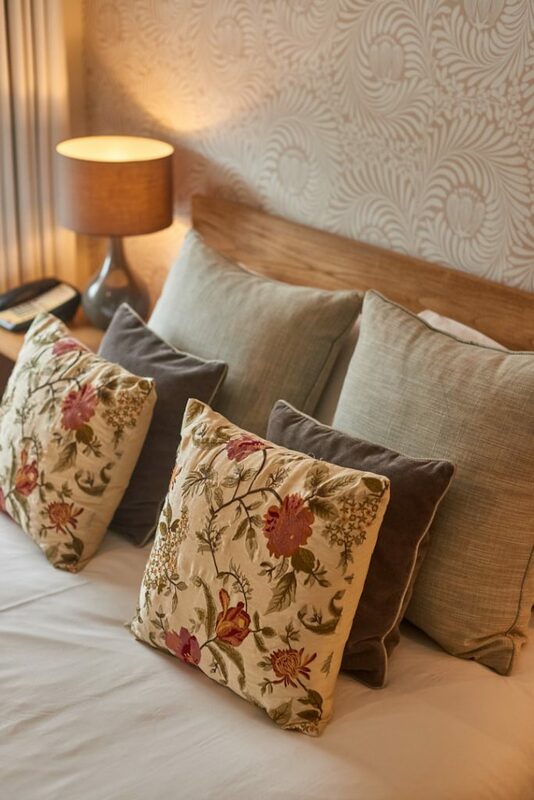 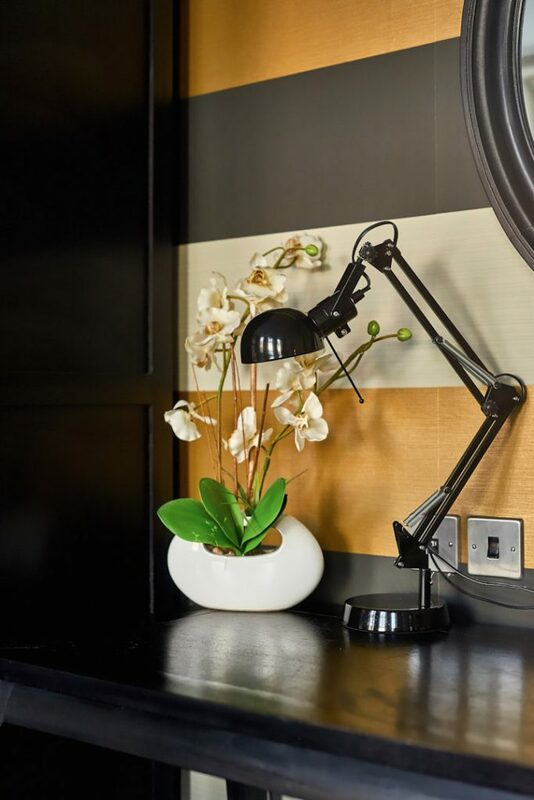 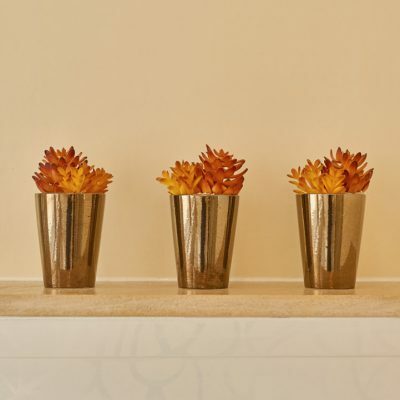 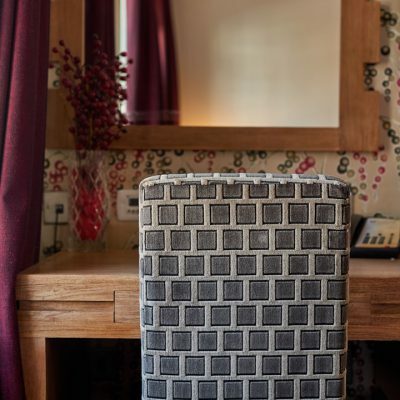 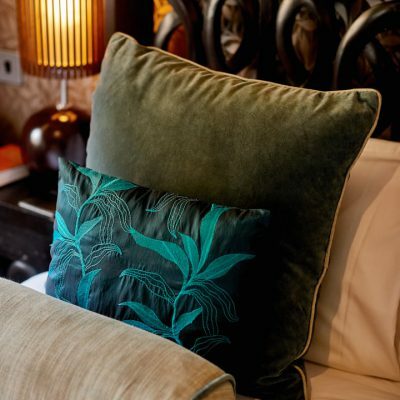 We like to think that we’ve thought of all the little touches that will make your stay comfortable and memorable. 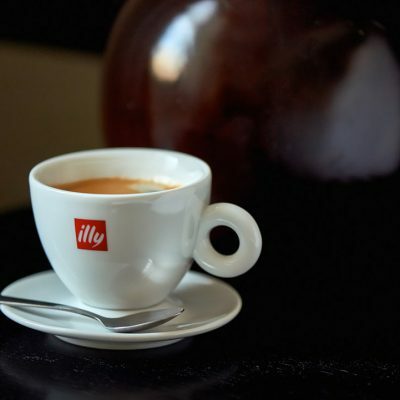 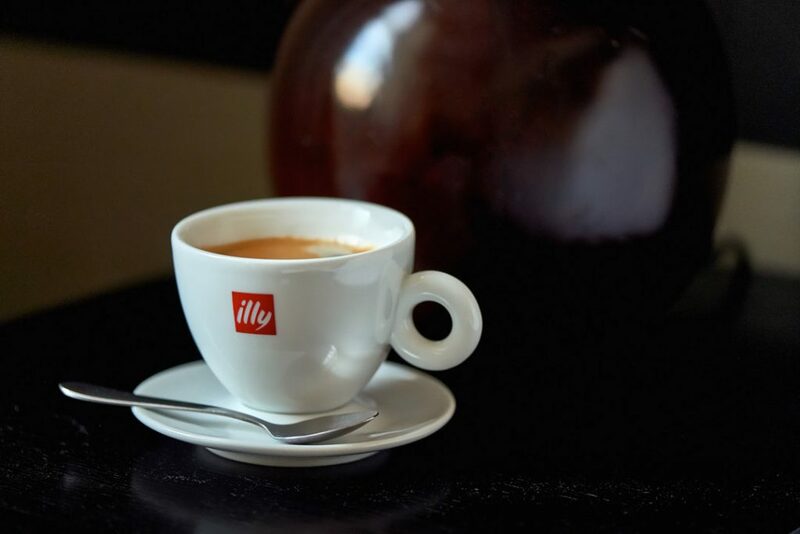 Elsyl toiletries and Illy coffee come as standard in every room. 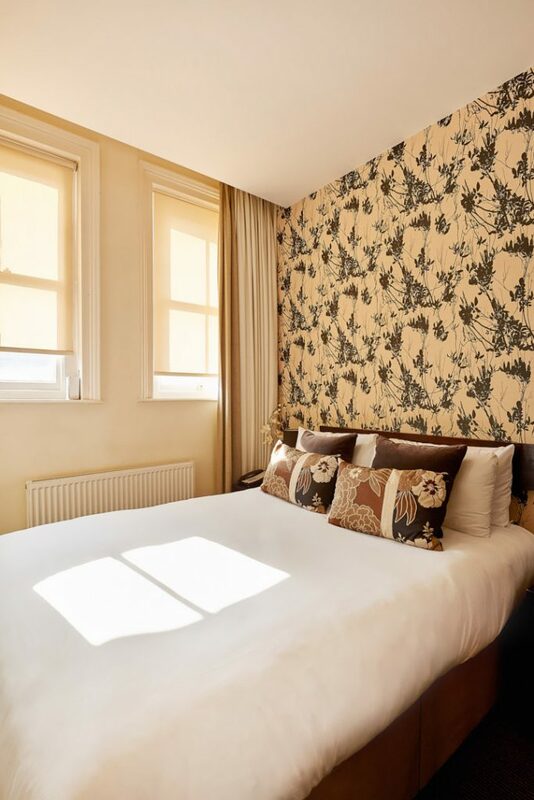 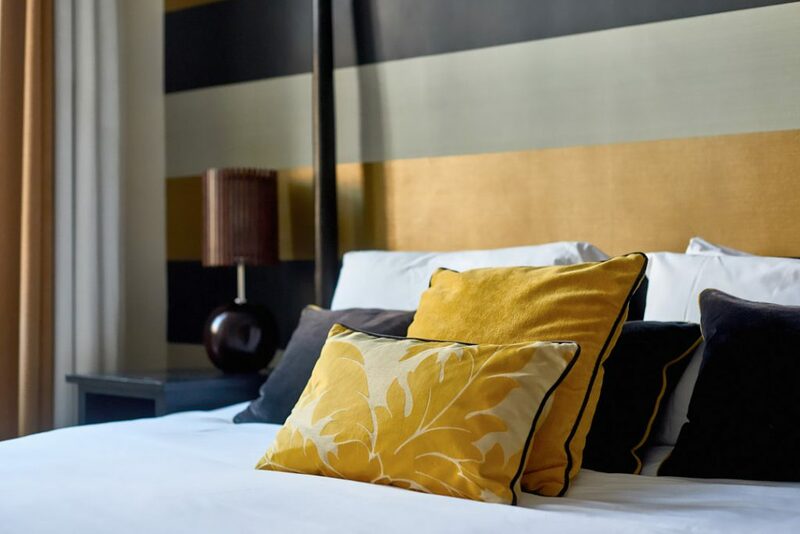 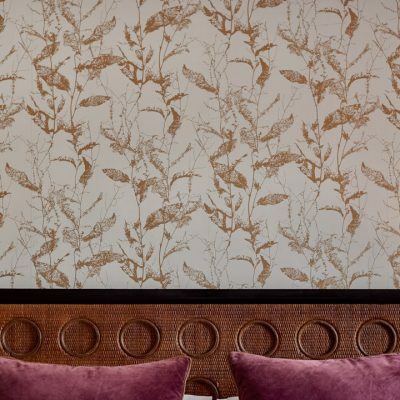 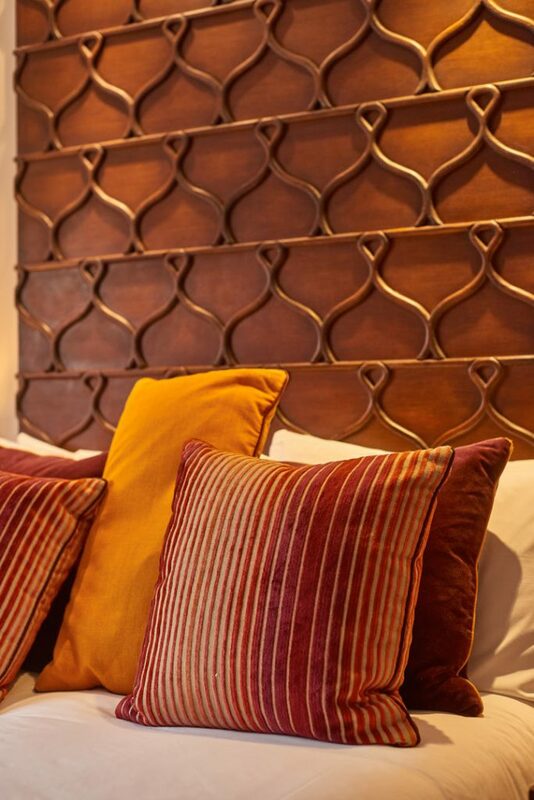 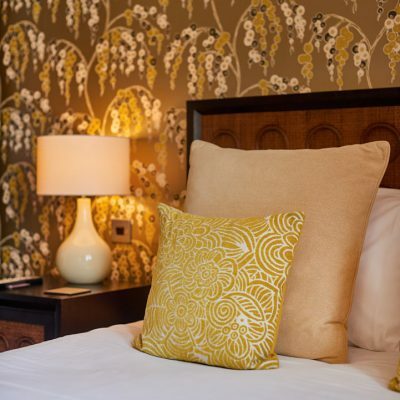 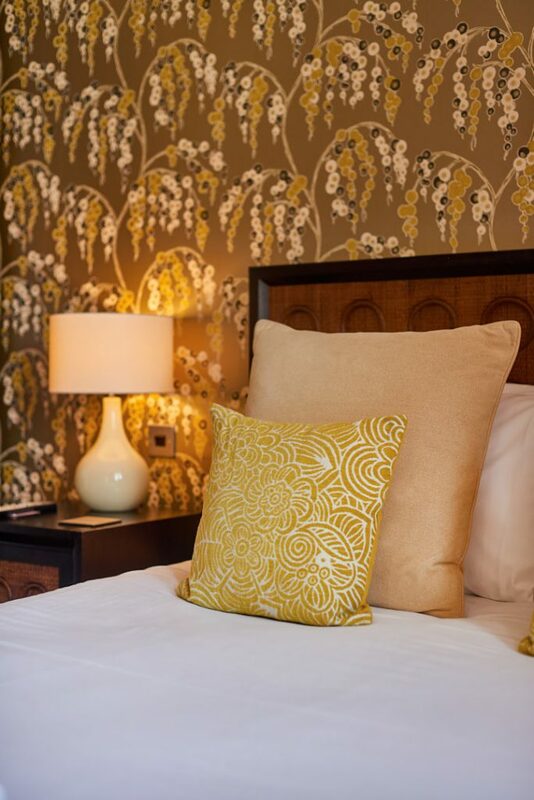 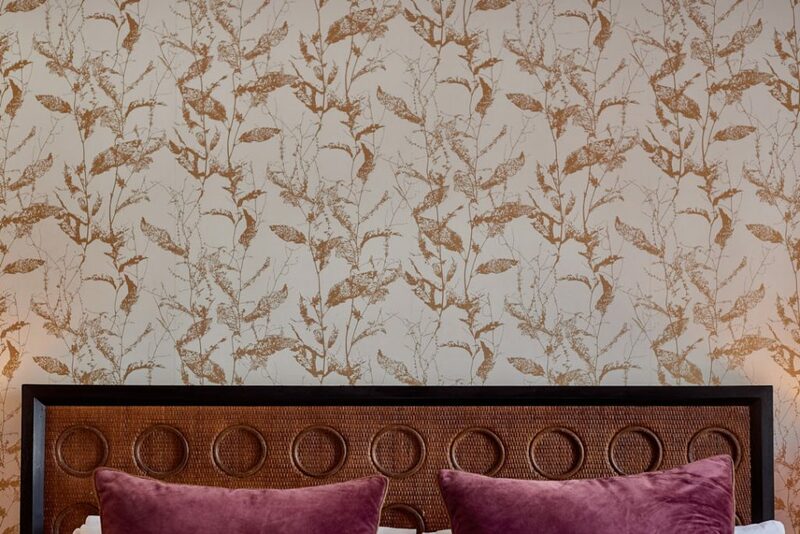 Our 14 rooms are each individually designed; expect sumptuous fabrics and luxurious touches from the plumpest pillows to the finest furniture. 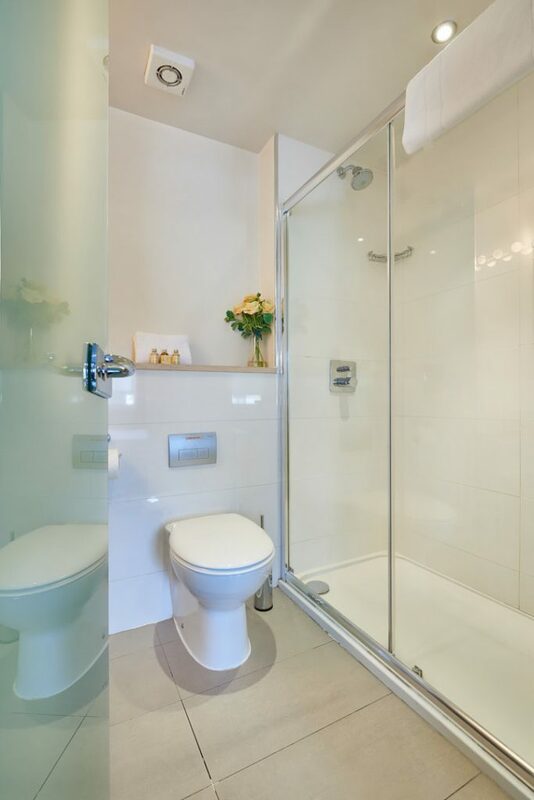 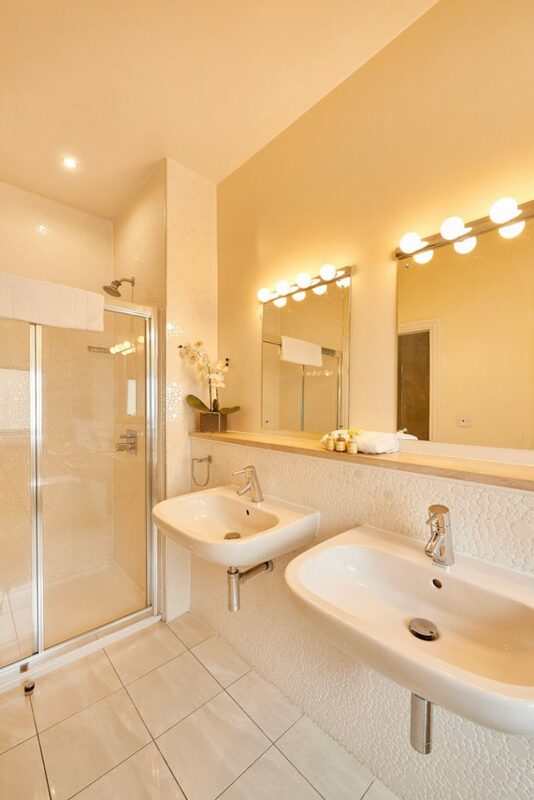 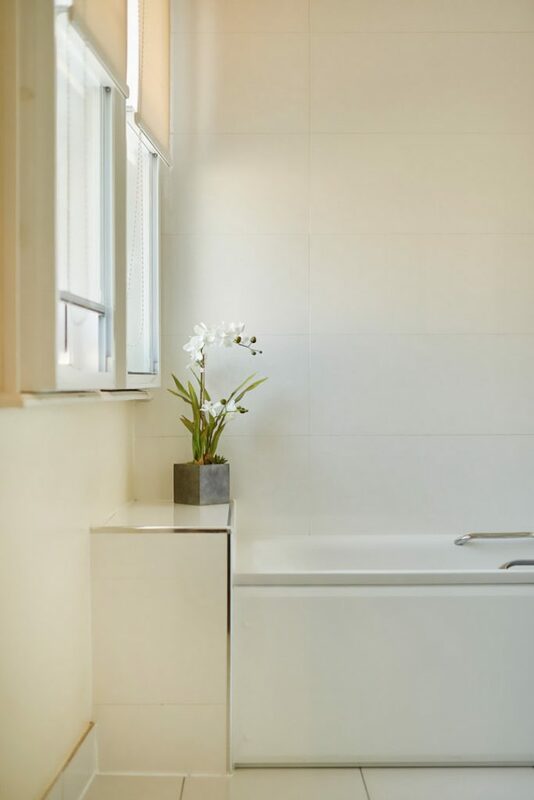 Our bathrooms are designed to create the ultimate haven of relaxation. 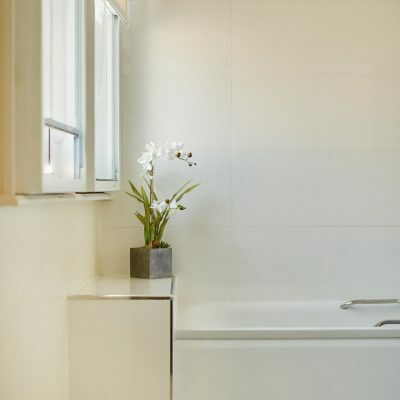 From freestanding baths to powerful showers that leave you feeling refreshed. 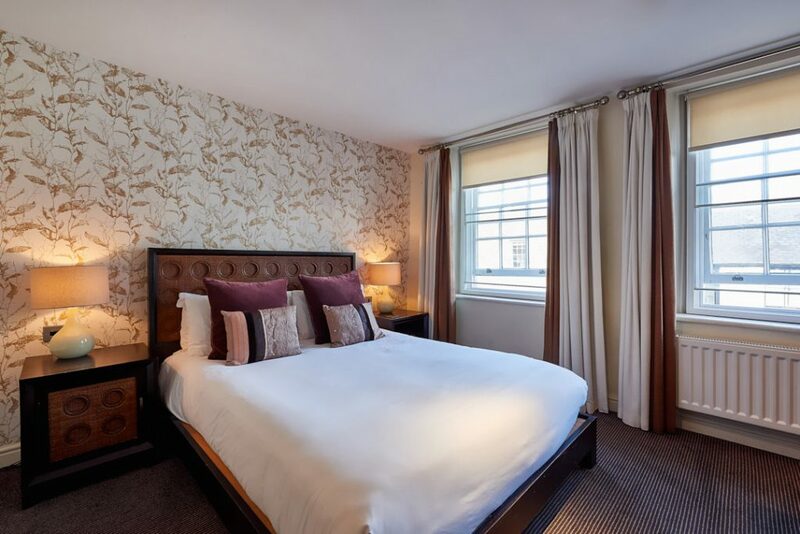 Breakfast is included in your room booking, and what better way to start the day then with one of our hearty dishes from our health-concious Cinnabar granola to a classic English breakfast. 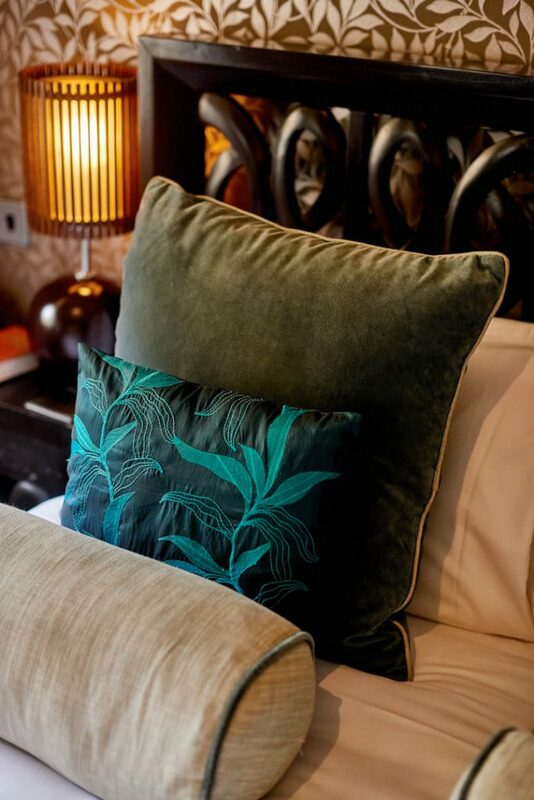 Each individually designed, cosy in size. 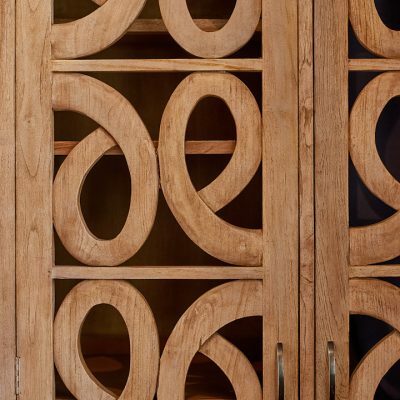 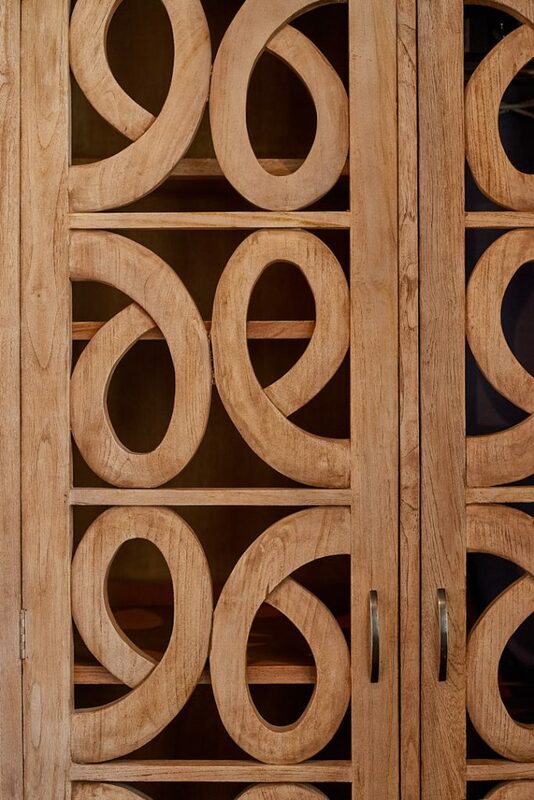 The bespoke furniture creates the feeling of space and elegance. 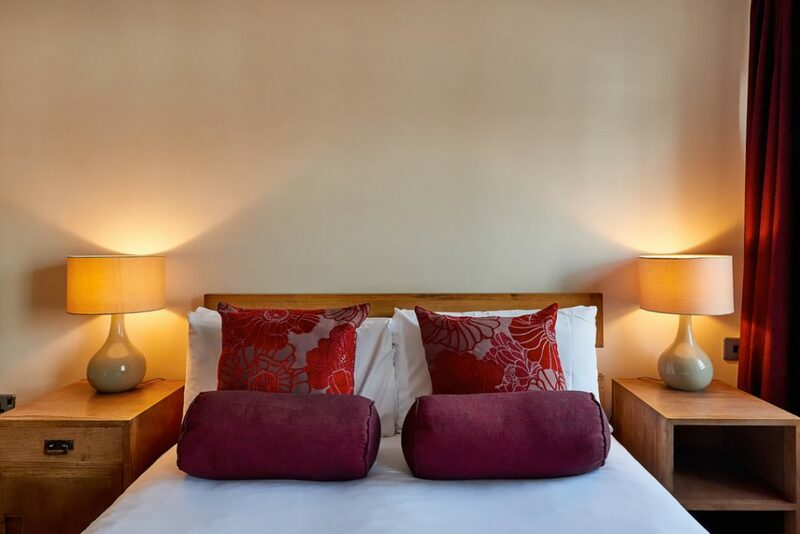 All rooms have flat screen TV’s, tea & coffee making facilities, En-suite bathrooms, accompanied with premium complementary products. 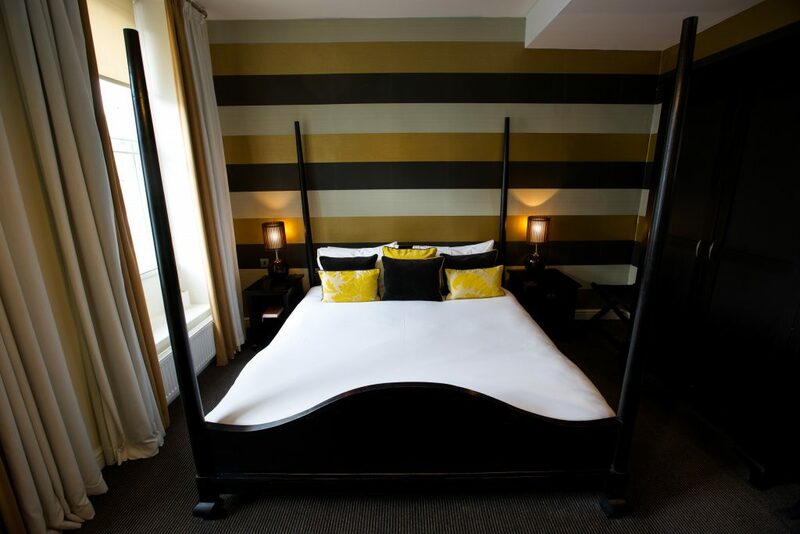 Our bar has DJs until 2am on Fridays, Saturdays, Bank Holiday Thursdays & Sundays. 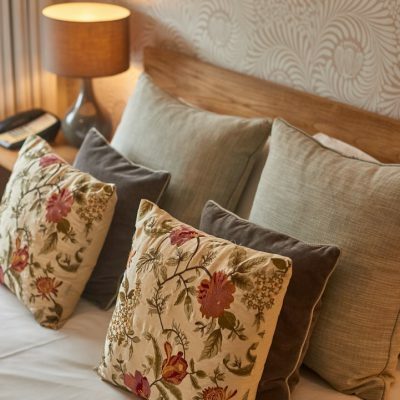 Noise can be heard in the guest rooms until about 2:30am. 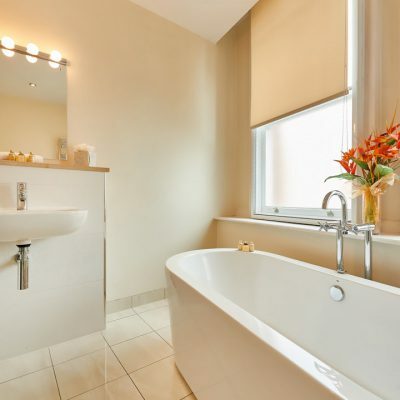 All offer wonderful design and space. 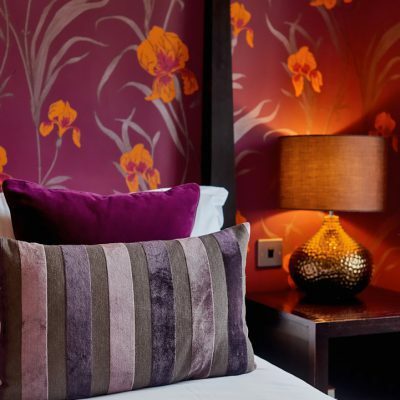 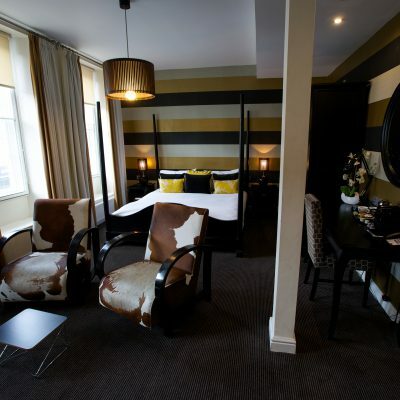 Each furnished with luxury furniture and fittings and each room styled differently to the next. 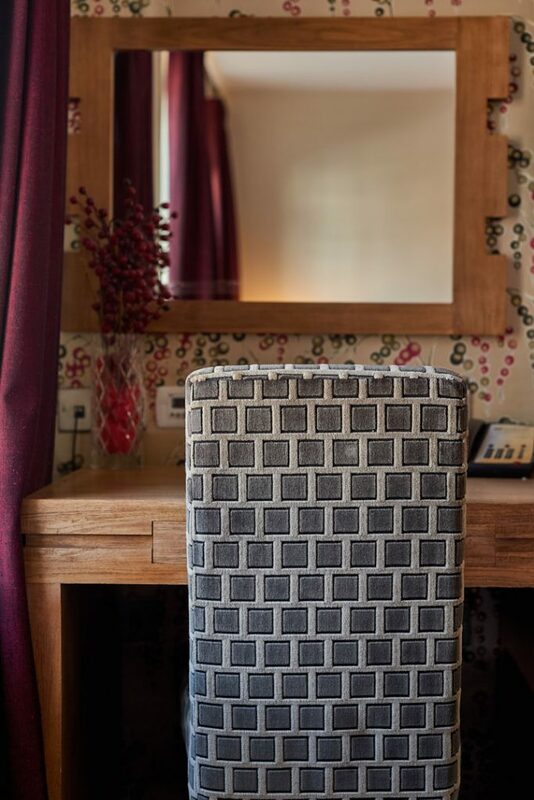 Elegance and comfort is delivered in abundance. 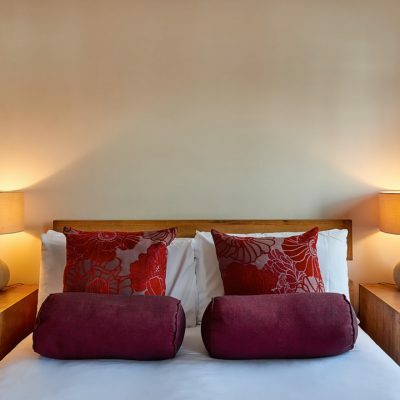 The rooms are fitted with LCD flat screens, Good sized bathrooms fully serviced with premium products. 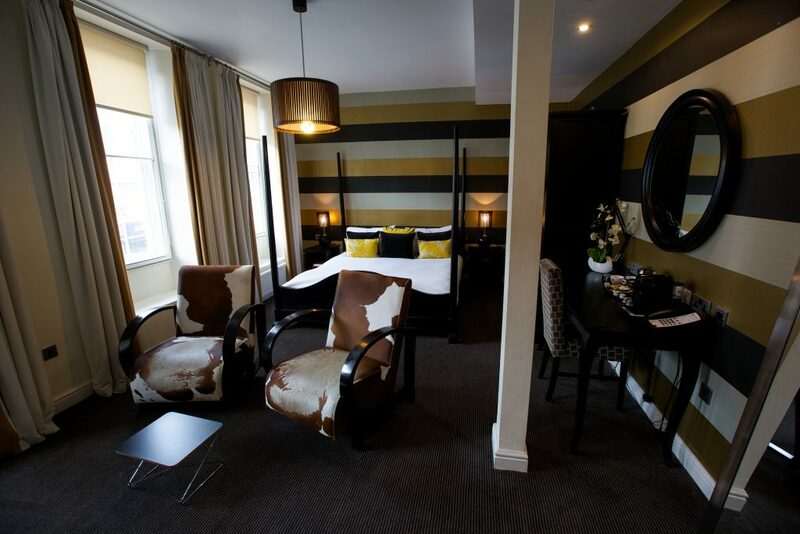 The two feature Suites are simply breathtaking. 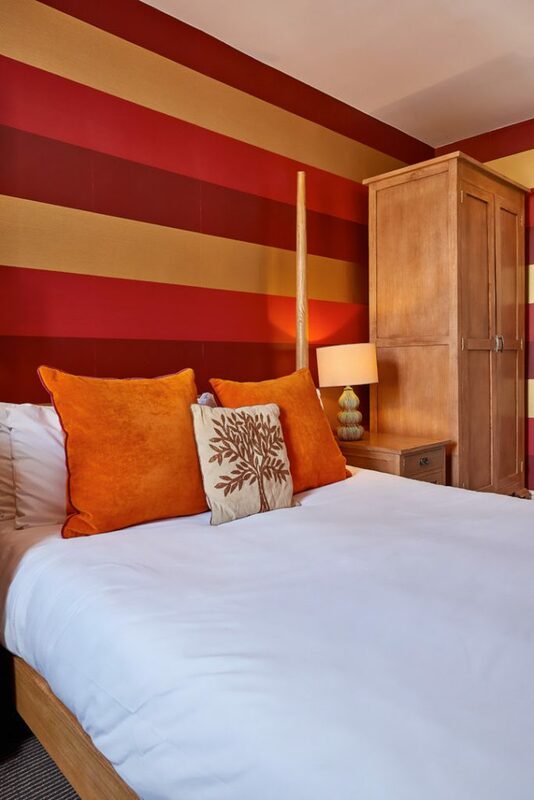 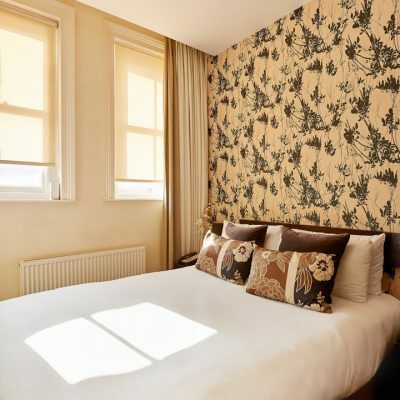 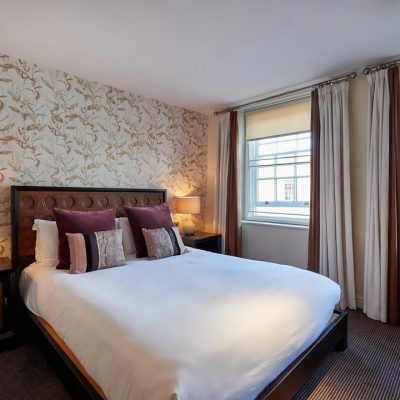 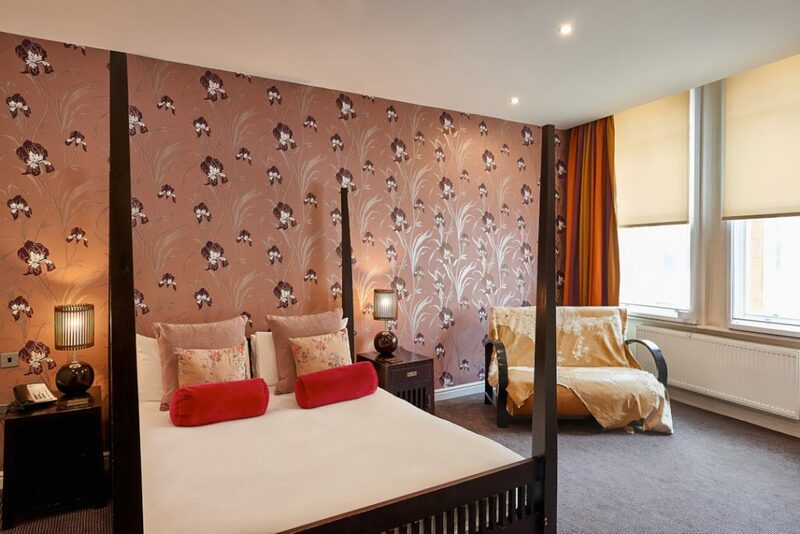 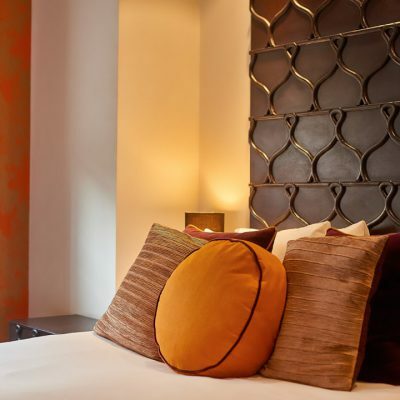 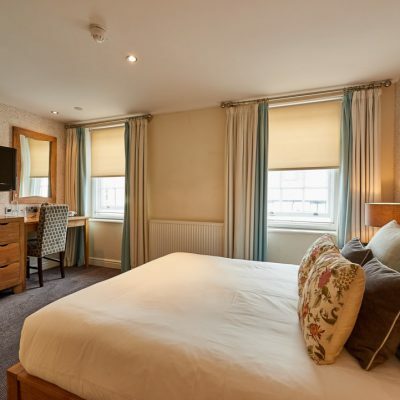 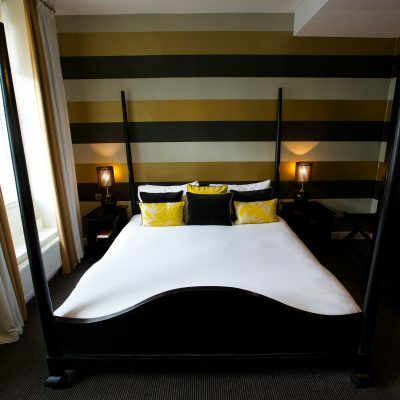 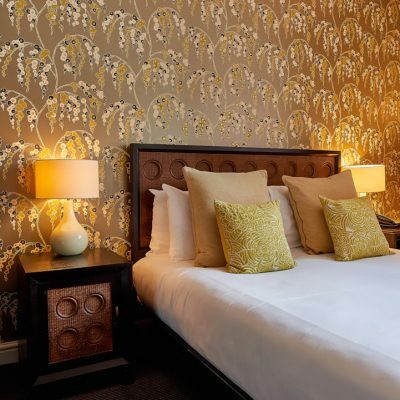 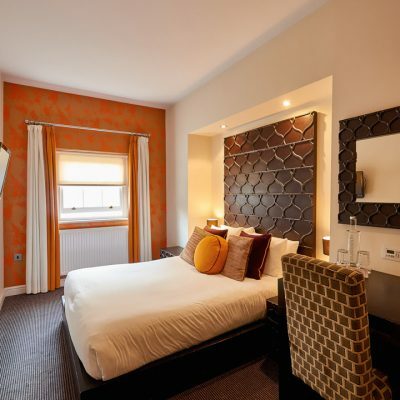 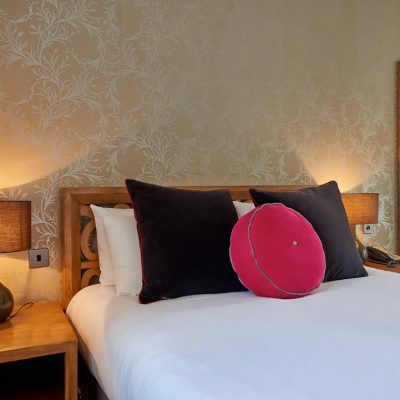 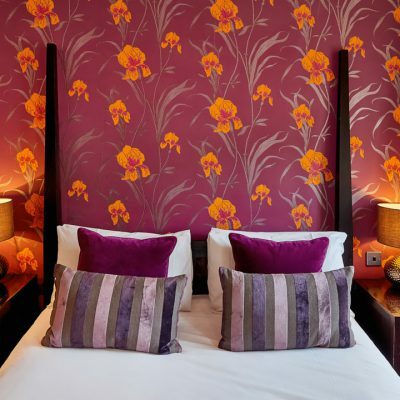 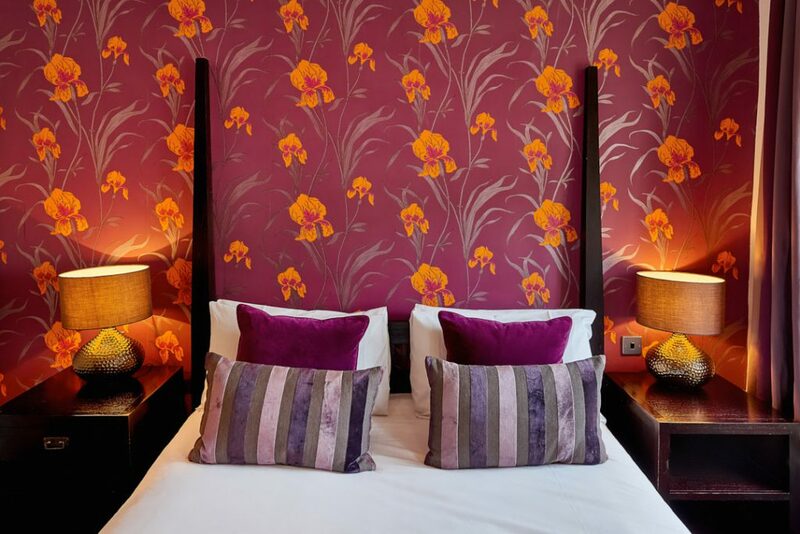 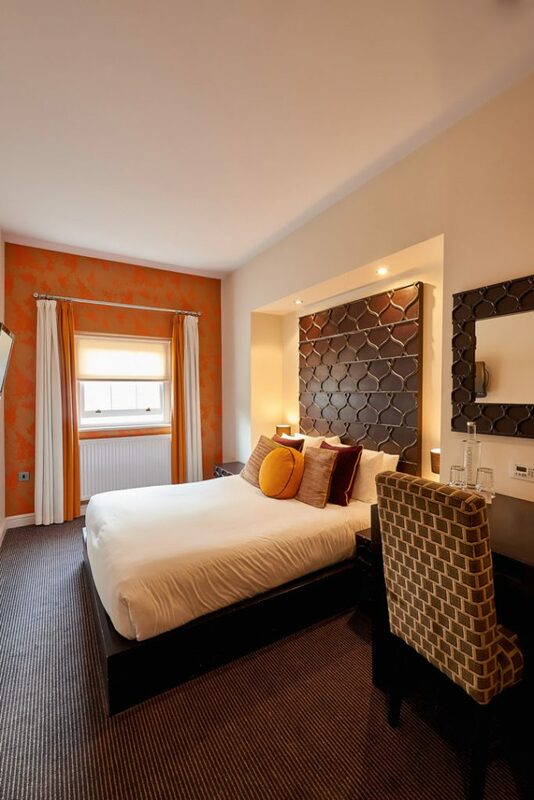 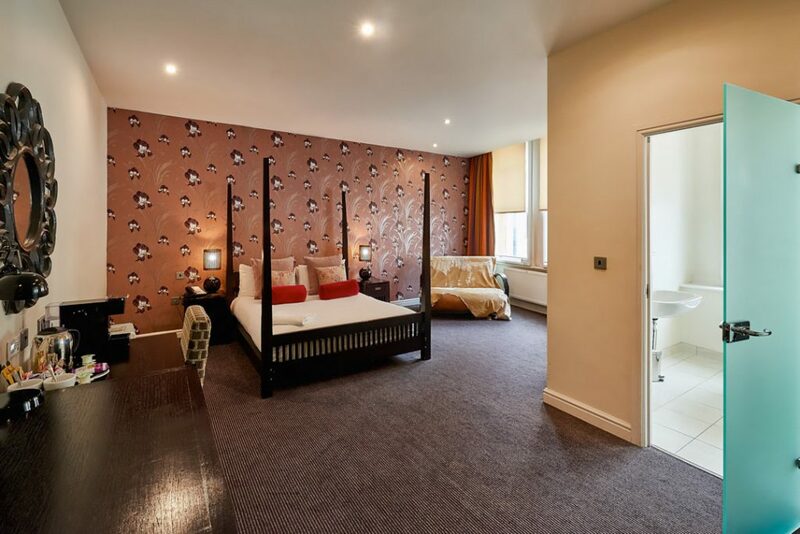 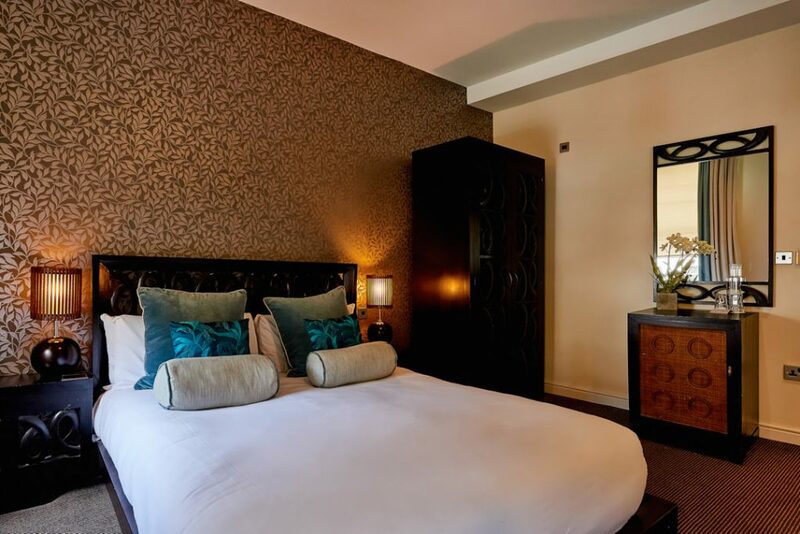 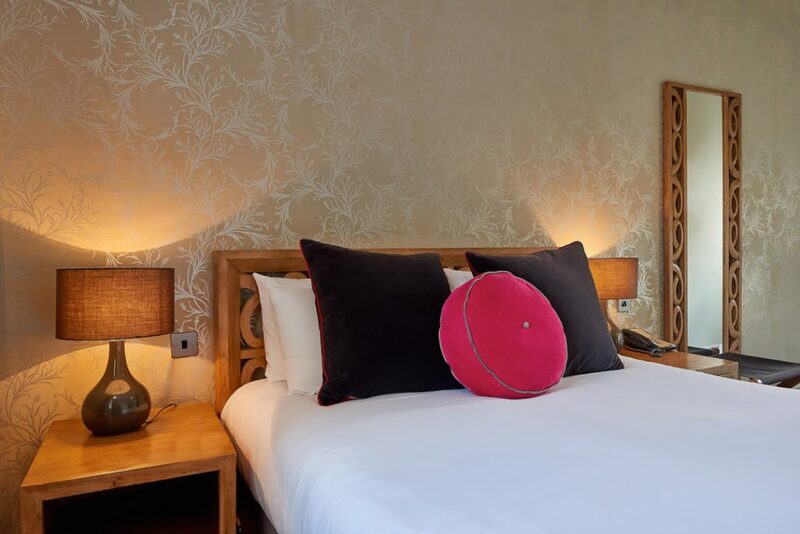 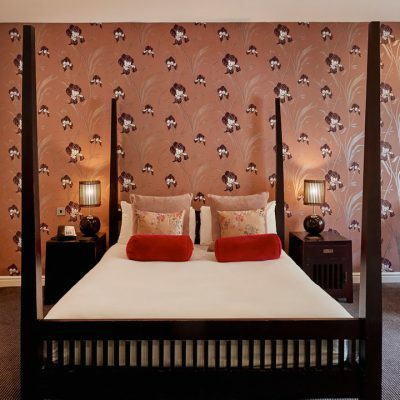 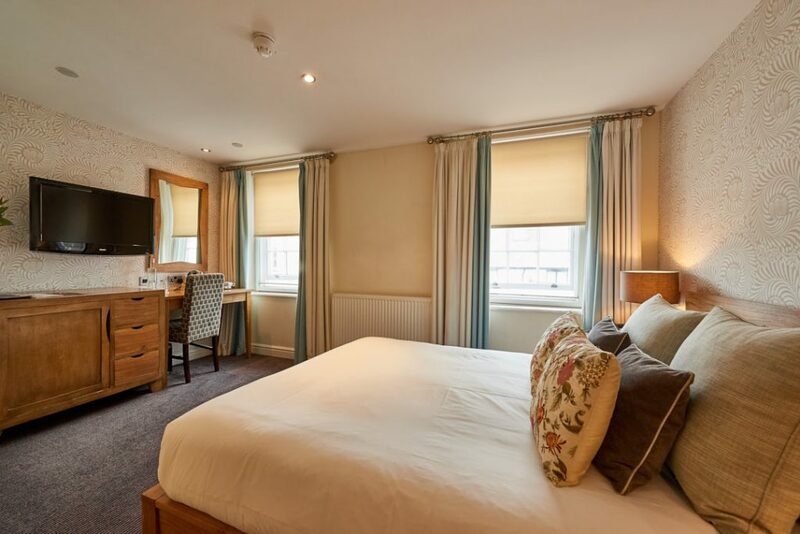 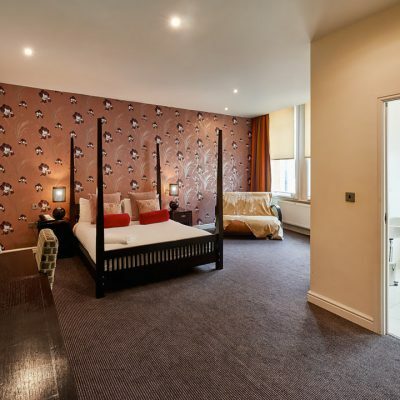 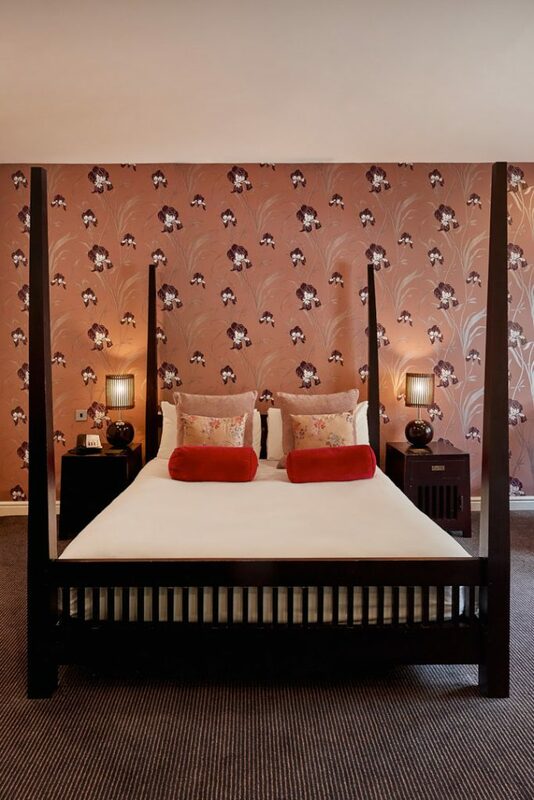 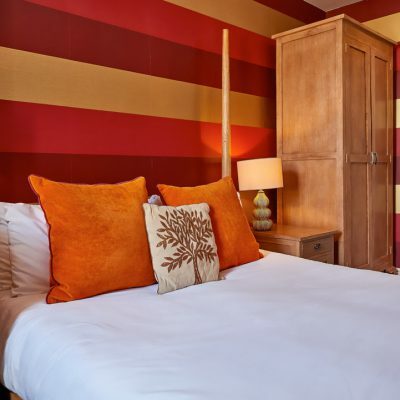 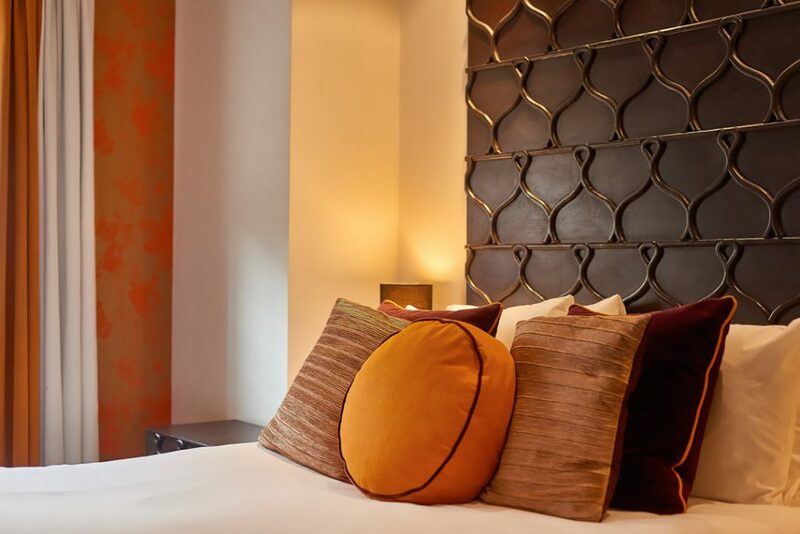 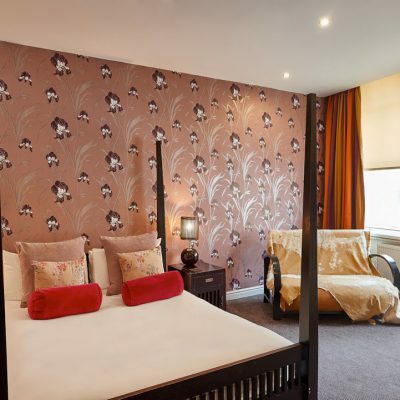 Huge spacious rooms, both with super king four poster beds and lounge area. 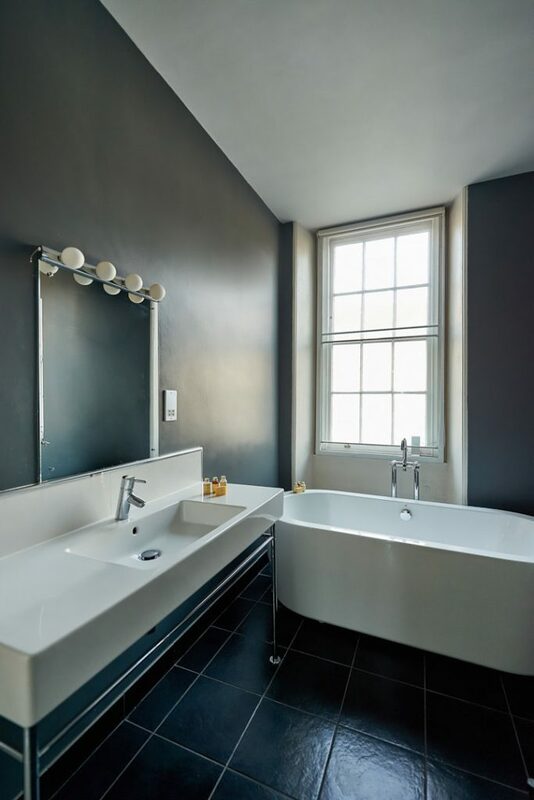 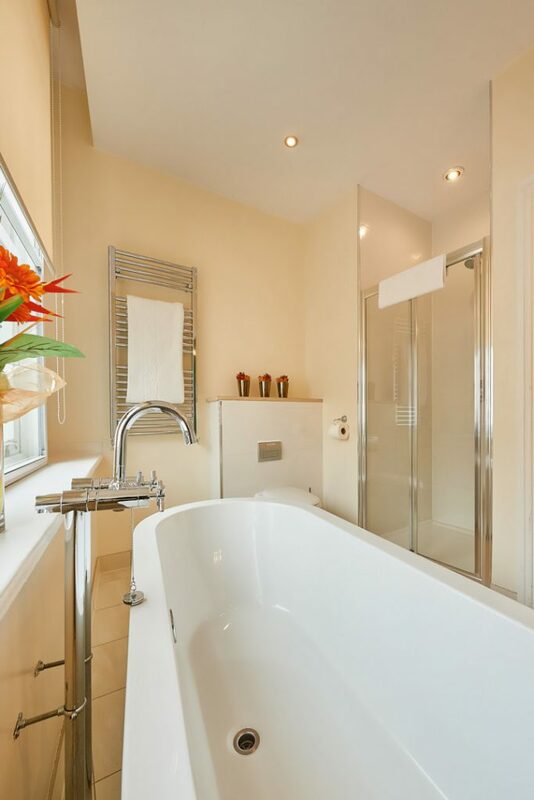 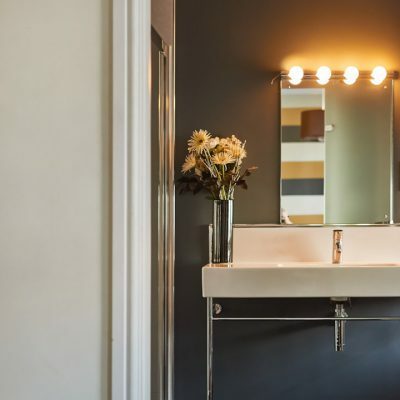 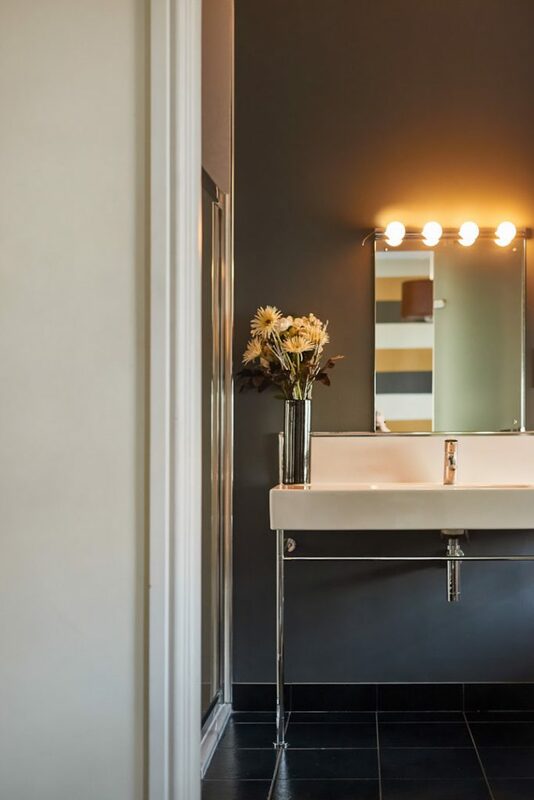 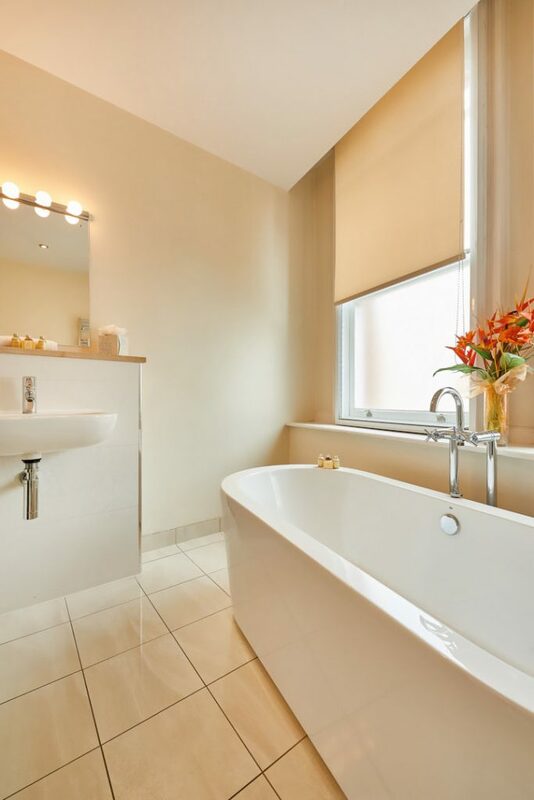 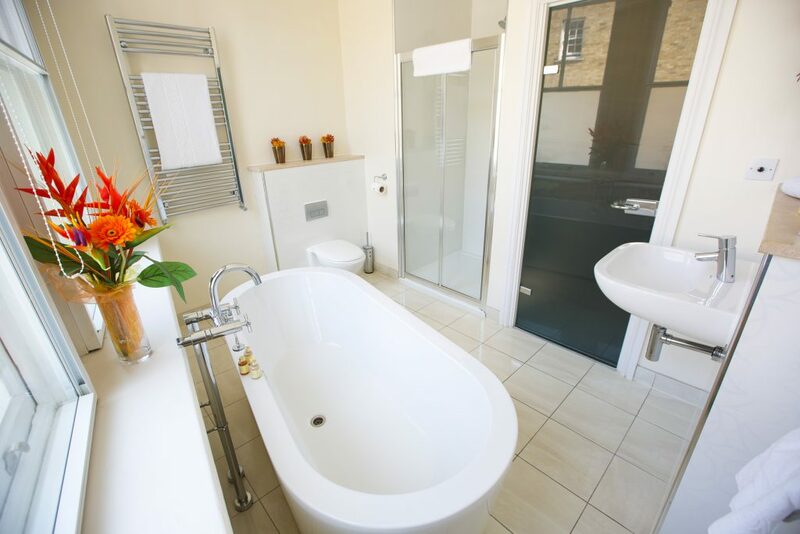 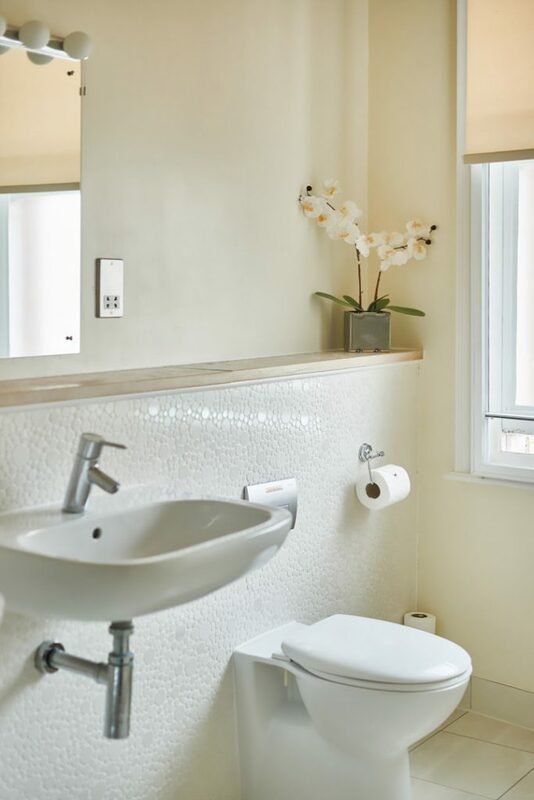 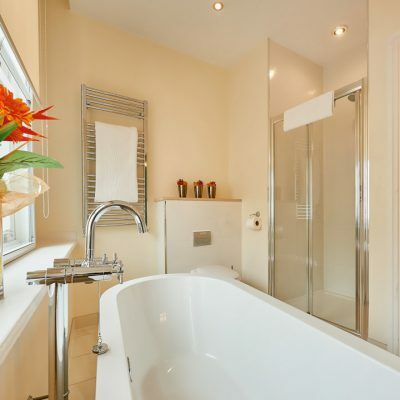 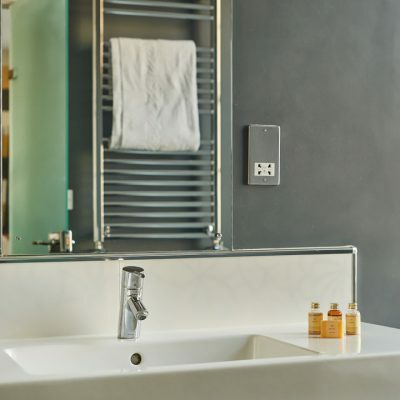 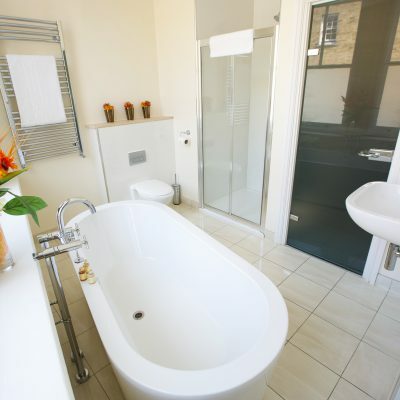 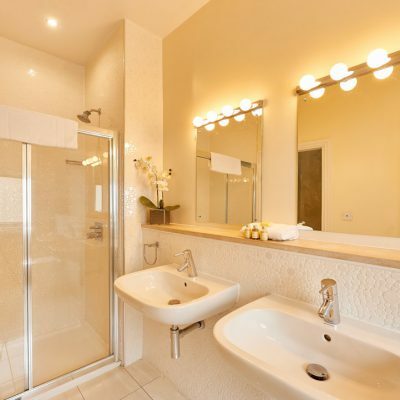 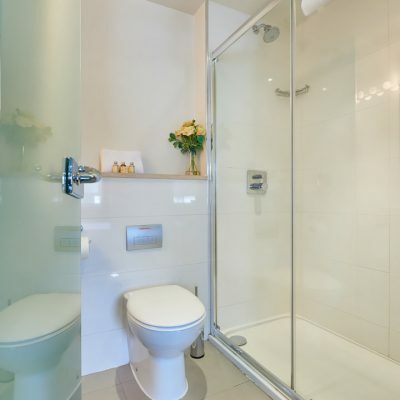 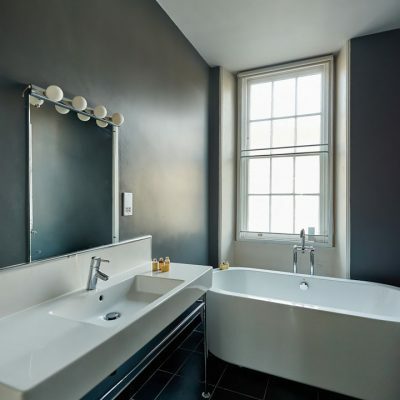 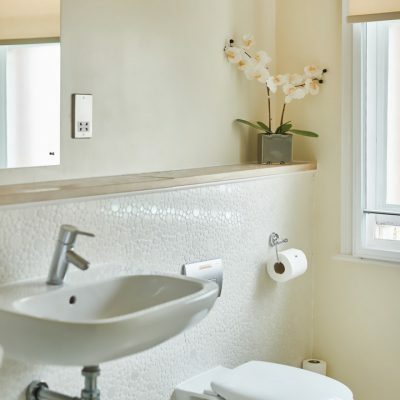 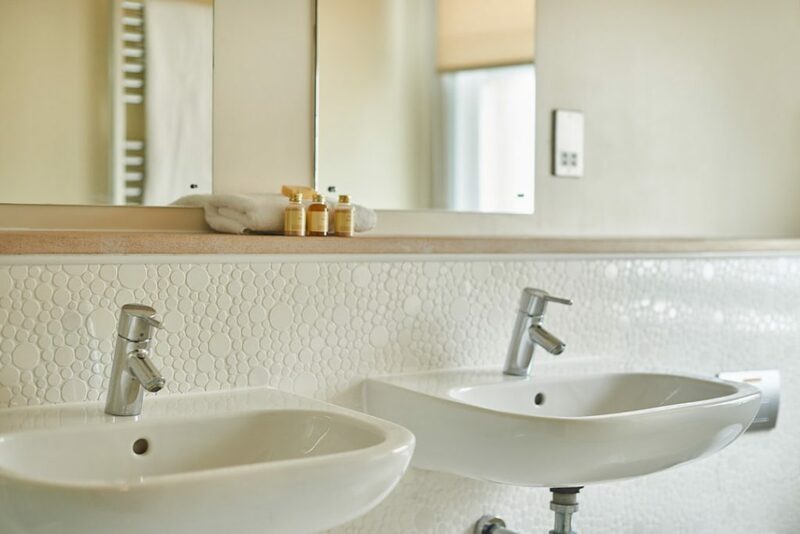 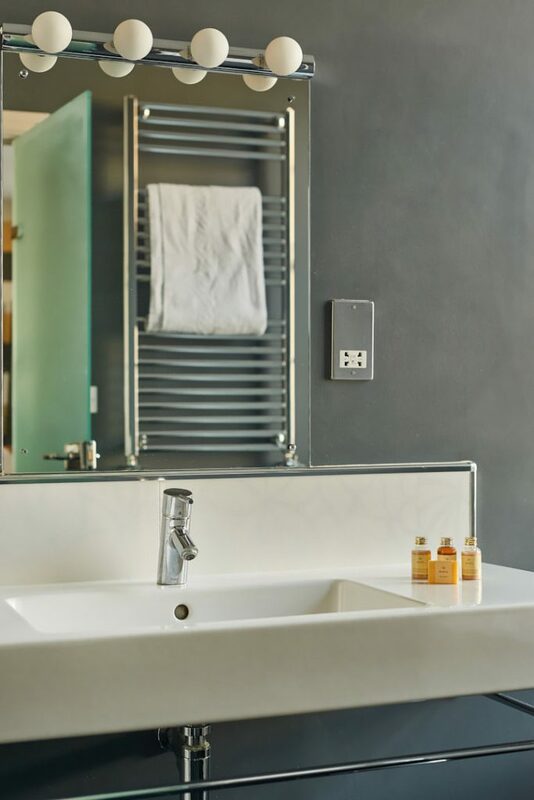 The bathrooms have large bath tubs and shower that are wonderfully styled and finished to an exquisite standard accompanied with premium complementary products. 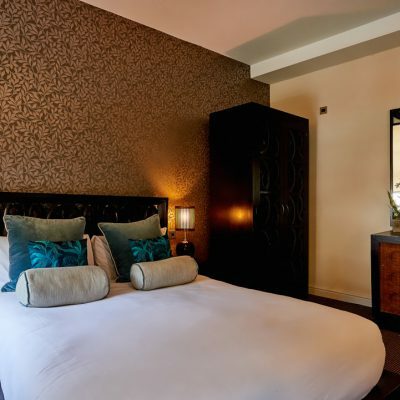  All rooms have flat screen TV’s, tea & coffee making facilities.